Magic has been slowly fading from the enchanted forest ever since the greedy humans invaded. The native folk were kind in sharing their homeland, but peace couldn't last forever. Conflict stirs while Barne, half human/half native, is stuck in the middle. Trapped between two worlds he must try and find himself before choosing a side. In a world where he never really belongs, Barne searches to find his smile using all means necessary. But there's a dark secret that holds his happiness hostage... In a world of swords and sorcery, darkness and despair, nothing comes without a price. This book was given to me for free at my request and I provided this unbiased, voluntary review. This book is AMAZING. I’m a huge fan of fantasy novels and this did not disappoint. The author does great world-building with the feather folk race and their interactions with humans and with nature. Fun events were peppered in among heart wrenching parts. All of the characters seemed fully explored with understandable motivation, faults, and abilities. It was the most obvious with the more villainous characters. They even made me audibly react at times. My one fault would be that the protagonist was absurdly ignorant which became somewhat annoying. All in all, a well-written novella. 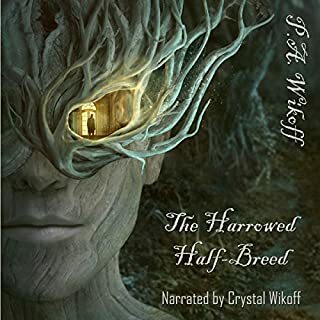 Crystal Wikoff also did a great job narrating. She spoke at the perfect speed and made me instantly invested. Her voices are distinct enough to follow a conversation. And, she did many small things that made the experience all the better. For example, the characters fighting would talk more breathy to make it sound real, but the dialogue was still easy to understand. In summary, I would strongly recommend this novella to frequent fantasy readers and anyone looking for a terrific book. This was interesting to say the least. The writing is well done and full of cool action. The suspense is amazing and makes you just want to keep listening. But, I didn’t have a real connection to any of the characters and I felt that they were not properly explored. My real fault with this book has to be the narrator. 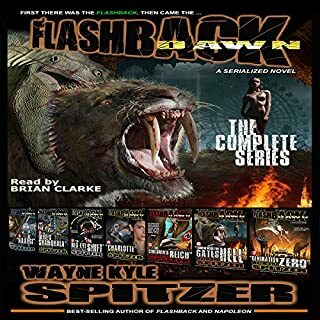 Brian Clarke makes all the action sound boring. Sometimes, I would find myself distracted while listening, even during the action! 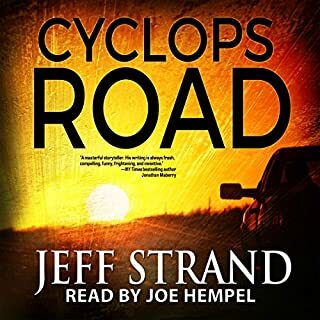 The narrator alone made this audiobook difficult to get through. All in all, I would strongly recommend to anyone that enjoys sci-fi action. Simulated reality is the hypothesis that reality could be simulated - for example by quantum computer simulation - to a degree indistinguishable from "true" reality. It could contain conscious minds which may or may not be fully aware that they are living inside a simulation. This is quite different from the current, technologically achievable concept of virtual reality. Virtual reality is easily distinguished from the experience of actuality; participants are never in doubt about the nature of what they experience. 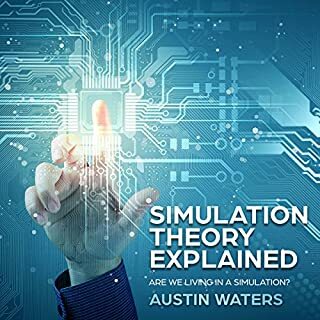 I would like to note this is my first experience with simulation theory, so I can not say whether it covered all the necessary points. I throughly enjoyed this book. It was an interesting perspective of life that I had never thought of before. The possible evidence seemed loose at best including saying crop circles could not be created by people but had to be from a simulation. I would say much of this book is speculation, but it is quite interesting if you don’t believe every word. Ron Welch was great! He had a strong, confident voice. He never missed a beat and I was entranced by is delivery. As a short little book, I would recommend listening to this different perspective on the world you know. This book may have been the strangest thing I have ever listened to. I’m still not sure if it was brilliant or if I’m still recovering from shock. The short story was written well, but not impressive. I definitely felt that the confused and scared average joe of a protagonist was written as he should be. Impy seemed to be whatever the author wanted, had random powers, and was a disgusting and hated creature. All in all, the story was well written and didn’t try to be something it wasn’t. Gary Bennett was an okay performer. When he was talking (except at the end), I felt my mind wandering and finding it hard to pay attention. I contribute this to Bennett’s monotone voice and smooth delivery. But when I was focused, I throughly enjoyed listening to him. I will preface this review by saying I have not read the other 4 books in this series that predate this one. I throughly enjoyed this novel. It was fast-paced action that kept me on the edge of my seat. I haven’t read many spy novels, but this makes me want to read more. I would especially like to read some of the author’s other work. I do have a few problems. Many characters were not explained well. I didn’t know who they were or any motivation. But, this is most likely because they were explained in the other novels. Also, something that irks me is the first line of the book synopsis doesn’t take place until 75% into the book. The order to kill Pope Francis isn’t part of most of the story. Even so, none of it felt like fluff or unrealistic. The narration by Brian Troxell was great. He never missed a beat. He wasn’t monotone like I was worried about and he gave incredible voices. Many characters got accents which were done very well. None of them sounded the same, and they were distinct. Overall, I would recommend this book mostly for those who have read the previous books. But, newcomers are still welcomed for this incredible book. 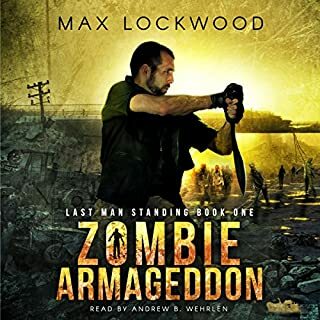 I haven’t read many zombie novels, but I found this one lacking. Story-wise, it is very straight forward with not many surprises. In fact until the climax, not much happened. Whenever nothing more could be done with the characters, more seemed to be added. The story was bland and traditional. Andrew Wehrlen’s narration was moderate. All of the character voices sounded the same, which always bothers me. It becomes difficult to distinguish characters when they act similarly, talk the same, and sound the same. He would occasionally slur his words but not enough to be not understood. I wouldn’t strongly recommend or tell someone not to listen. It is a middle-of-the-road book. This book was AMAZING! There is no other way to put it. The title and summary had me worried for an average or less than average story that I wouldn’t enjoy. But, I was surprised by the quality of this story. I usually avoid comedy books because they often aren’t great at timing. But this story got it just right. Many times I was laughing unbearably. The fantasy aspect was okay, but some of the mystery left a desire for more. Joe Hempel has real talent. He portrays Evan as “the average joe” while still giving feeling. The different characters have distinct voices and are easily recognized. It was a masterful performance that I am happy I heard. If I could I would rate it higher, I would. It’s one of my new favorites for sure. This book was given to me for free at my request and I provided this unbiased voluntary review. I listened to the audiobook by Heidi Gregory. I absolutely adored Alice In Wonderland as a kid. Then, hearing it coupled with its sequel was amazing. There’s not much to say uniquely about the story or books as a whole. They are the same reads from our childhood that everyone loves. I am hesitant to give the performer 4/5 stars, but the audio quality wasn’t the best. I’m not a huge audio buff, so I can’t diagnose the issues. But after getting used to it (it wasn’t a big deal), I got really into it. One small issue was that the last chapter repeated after the first minute. Other than those tiny hiccups, there were no issues. I was amazed by Heidi Gergory’s performance though. There were many amazing things she did, but my favorite was a group of people on a train talking. She was able to use multiple recordings to have an amazing effect. All in all, it was a great read and I strongly recommend. In my opinion, this may be one of the best books I’ve heard read. 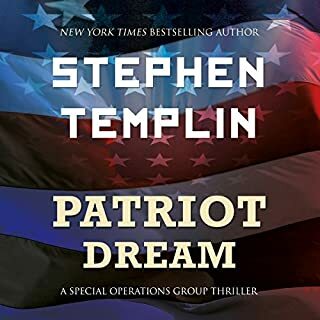 The author’s language and descriptions were amazing and made the overall story a must read. I was initially worried about the story being about zombies, but it never felt cheesy or unoriginal. Plus, perspective and Indonesian folklore was used to make an excellent story. This narrator was also quite god. His soothing voice was calming which was juxtaposed to the violence. He was skilled in his reading throughout the novel. I was especially impressed by voices and accents. The voices were never out-of-place and fit the characters wonderfully. 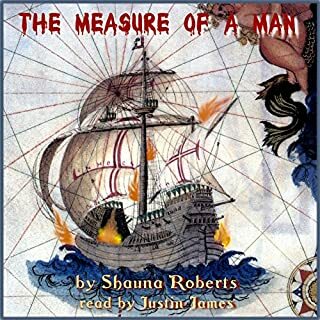 If Justin James is not a voice actor (not counting his narrating books), I would be certainly surprised. 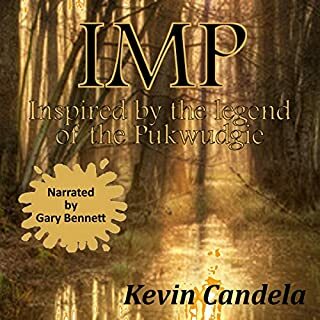 All in all, I was amazed by this audiobook’s storytelling. Alice in Wonderland is an 1865 novel written by Lewis Carroll. 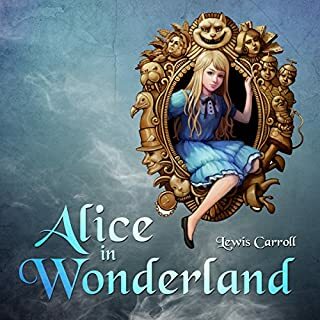 It tells of a girl named Alice falling through a rabbit hole into a fantasy world populated by peculiar anthropomorphic creatures. The tale plays with logic, giving the story lasting popularity with adults as well as with children. It is considered to be one of the best examples of the literary nonsense genre. This book was given to me for free at my request and I provided this unbiased and voluntary review. A classic from the past that anyone would find nostalgic. The book has always been one of my favorites and it will continue like this for a long while. The reader was great. 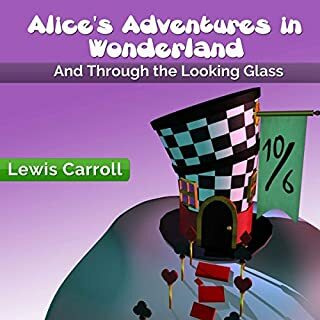 He was able to easily show the different characters through voices that didn’t seem strange or out of place (although most things in wonderland are). Overall, it was a delightful listen and I would strongly recommend.